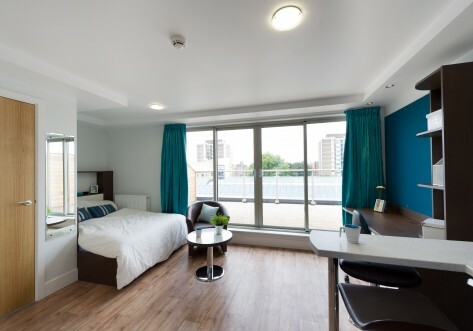 Kirby Street offers high-quality student accommodation in a fantastic central, yet quiet, location in London. 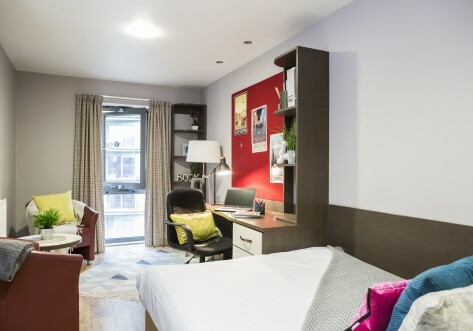 The property is less than 20 minutes’ walk from St. Paul’s, Barbican, Angel Islington, Holborn, Shoreditch, Hoxton, Oxford Circus, Covent Garden and Soho, making it the perfect place to explore all that student life in London has to offer. 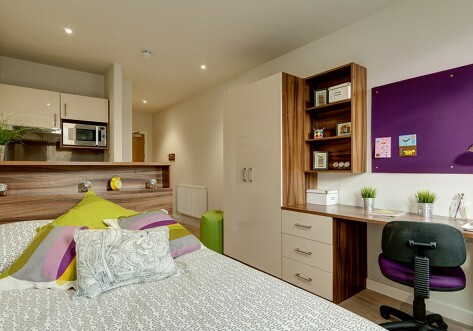 Our studios are perfect for students to live independently and are designed for both relaxing and studying. All studios have their own private shower room, a fully fitted “hideaway” kitchen featuring a hob, combination microwave oven, fridge, and freezer. There is also plenty of space for your belongings with a wardrobe, under-bed storage, drawers and shelves. We offer a number of different rooms types, descriptions for which can be found below. Classic studio -. A classic studio ranges from 20-22m2 and has a comfortable hideaway double bed along with all the great features listed above. You’ll have a well equipped and Wi-Fi connected workspace to live and study! Premium range 1 studio – These studios range from 24-29 m2 and have either a three-quarter size or double bed. As well as your own bathroom and fully fitted kitchen/dining area, you’ll have a well equipped and Wi-Fi connected workspace. Premium range 2 studio – our premium range 2 studios vary from 21-35 m2 and have either a three-quarter size or double bed. As well as your own bathroom and fully fitted kitchen/dining area, you’ll have a well equipped and Wi-Fi connected workspace. Several of these studios also include a balcony. Book now to avoid missing out on a great view over London. Premium range 3 studio – Our fully equipped studio apartments are perfect if you prefer to live independently and study in private. Premium range 3 studios measure approximately 28-35 m2 and all have their own balcony. Premium range 4 studio – There is only one of these premium range 4 studios, and this is approximately 34 m2 The room is divided into separate a living and bedroom areas and also has its own balcony. Nestled in a fantastic central location, Kirby Street offers students the perfect balance between a quiet environment and the hustle and bustle of city life. Within easy reach of all major London universities and colleges, as well as all of London’s best bars, restaurants and gyms, Kirby Street is sure to provide you with the best student experience. A classic studio ranges from 20-22m2 and has a comfortable hideaway double bed along with all the great features listed above. You’ll have a well equipped and Wi-Fi connected work space to live and study! These studios range from 24-29 m2 and have either a three-quarter size or double bed. As well as your own bathroom and fully fitted kitchen/dining area, you’ll have a well equipped and Wi-Fi connected work space. Our premium range 2 studios vary from 21-35 m2 and have either a three-quarter size or double bed. As well as your own bathroom and fully fitted kitchen/dining area, you’ll have a well equipped and Wi-Fi connected workspace. Several of these studios also include a balcony. Book now to avoid missing out on a great view over London. 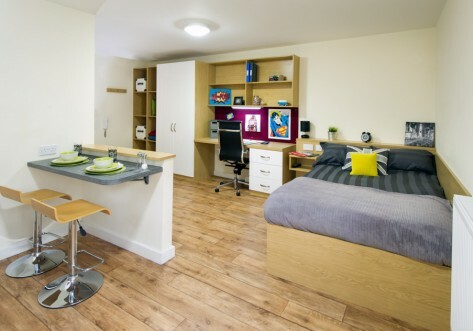 Our fully equipped studio apartments are perfect if you prefer to live independently and study in private. Premium range 3 studios measure approximately 28-35 m2 and all have their own balcony. There is only one of these premium range 4 studios, and this is approximately 34 m2 The room is divided into separate a living and bedroom areas and also has its own balcony.